McGuire offers a complete line of dock equipment which incorporates the best in engineering and design, materials and manufacturing quality. An Industry Leader for more than 40 years, customers have relied on McGuire to deliver safe and efficient loading dock equipment. 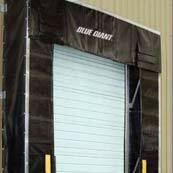 Blue Giant is the premier solutions provider of safe, effective, and technologically innovative loading dock and material handling equipment. 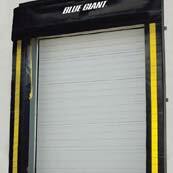 Blue Giant offers a complete line of products including dock levelers, ground-level lifts, vehicle restraints, dock and door guards, door seals and shelters, and driver control and safety systems to a diverse offering of material handling products. Nordock is a dedicated team of professionals with over two decades of solid performance and a common goal of providing the best possible product for value conscious customers. Compression dock seals with curtain style head member and foam filled side pads provide an effective seal and the most economical solution. Accommodates a large variety of trailer sizes and heights while providing full access to the trailer. Protect product & personnel from harsh weather conditions. 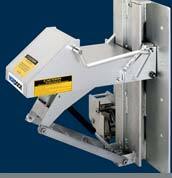 We offer dock levelers to meet many different needs and budgets. 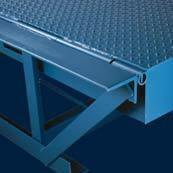 We provide and install both edge-of-dock levelers and pit levelers. Whether you need a mechanical, hydraulic, or air-powered leveler, we can provide the solution for your loading dock needs. Our loading dock vehicle restraints improve safety by securing the truck during loading/unloading operations with a 32,000 lb. restraining force. 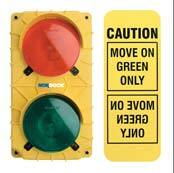 These communication systems will improve safety and efficiency at the loading dock by providing a synchronized signal to both truck driver and dock personnel that is clearly understood.